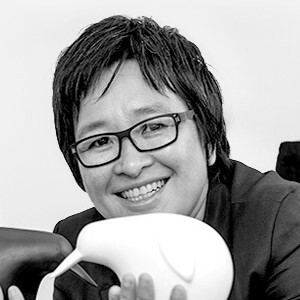 Jenny Chan is a Malaysian born Chinese and has been in business for over 25 years designing and creating her own branded products for the retail sector. Jenny has developed a reputation for innovation and creativity in branding and product design. From a young age Jenny has been concerned about the way things look and feel and has ended up turning this passion into a successful career. Her personal aim is to “make ordinary things beautiful” and with her team of in-house designers she has turned her visions and ideas into real products. Jenny also has strong selling skills and happily stands behind her creations and is committed to taking her brands globally. With an ability to identify new opportunities and new markets Jenny now sells her unique souvenir, travel and skincare products across 14 countries. She never stops and always on the lookout for the next thing to transform.